Here is a quick photo, just so you can see how my setup looks. 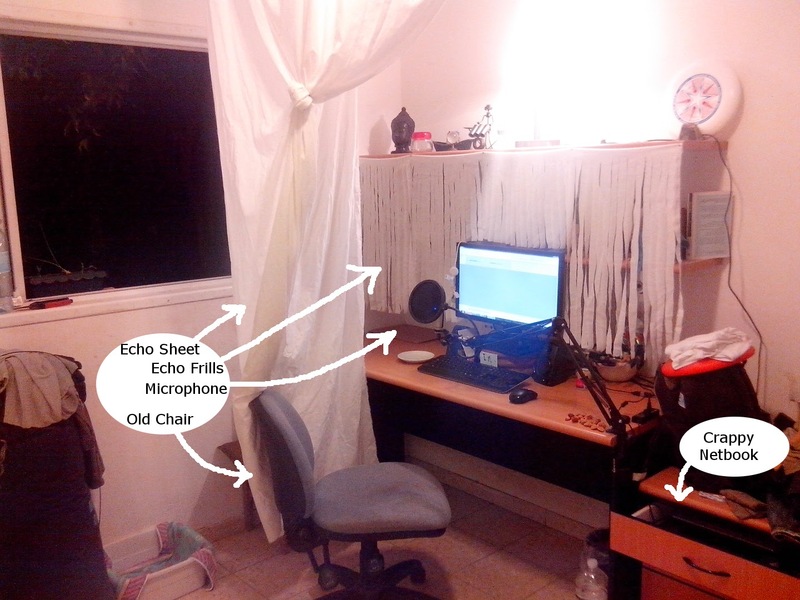 I used screws and some cotton rope, to hold the echo-cancelling sheet around me, from the ceiling. For the echo-cancelling frills, I used a similar sheet, which I nailed into the shelf, and then used scissors to cut it into nice & accessible frills. :=D And finally, I shoved my netbook into the drawer, and sawed a hole for cables, so that I get some quiet, when recording.